When first walking into 1260 Stardust Way, the large airy living room first draws the eye to the gorgeous wood-burning fireplace complemented by a large stone façade chimney and oversized front windows. Refinished hardwood floors give way to a custom kitchen that’s outfitted with granite countertops, stainless steel appliances and a gas cooktop. Through the sliding glass door is an enclosed patio room lit by a multitude of windows that overlook the lush backyard garden. Further out, this 5,000-square-foot lot expands to an idyllic orchard of fruit trees. Using arrow keys to navigate further into the residence, the hallway reveals three sizable bedrooms and two full baths, all filled with natural lighting from the many well-placed skylights in the open floor plan. At the rear of the house is the spacious master bedroom, providing a peaceful retreat from the rat race. 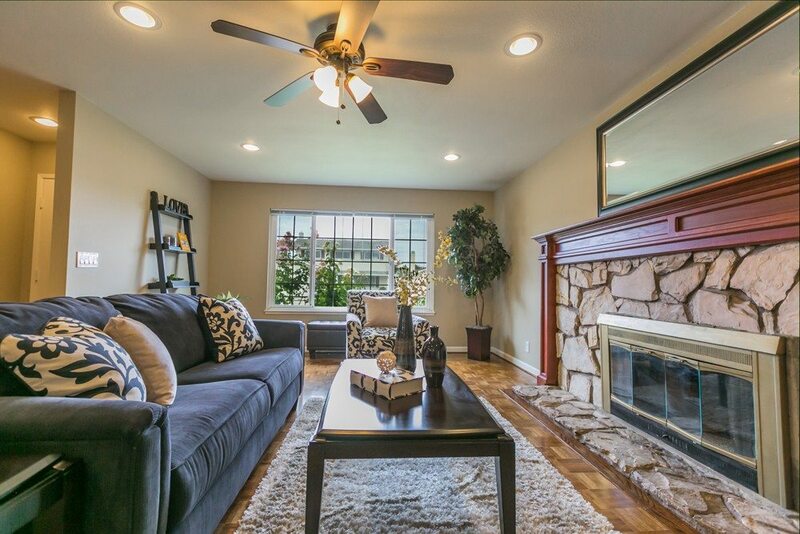 This charming home is located within the quiet and friendly Starlite Pines, a desirable commuter neighborhood well-known for its enchanting local park, walking trails and ideal location in the heart of Milpitas, California. To visit this beautiful house, reach out to Brad Gill at Brad@EagleHomeGroup.com or read more here. Sarah Staatz is the VP of client relations at InsideMaps. You can follow her on Twitter (@StaatzStyle) or LinkedIn.